Your students are going to encounter media about the US election, which will have an impact in the classroom. Make that impact educational with a lesson plan that keeps your students engaged and on track. 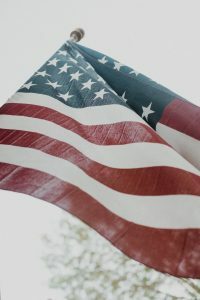 Last week we sent out a teacher newsletter that included a survey about the upcoming US election. According to TeachingTolerance.org, 40% of teachers are hesitant to teach about the election this year. We drafted our survey, in part, to find out why. We will publish the results of the survey in our next email. If you haven’t already signed up for our email, send us a note to sign up. Many teachers expressed concerns about talking about the candidates. Some worried about biases, and some of you noted that talking about the candidates means talking about what they are saying. And some of the talk in this campaign would not be accepted on any school ground. We also wanted to learn how we could help with elections-related lesson plans. Based on the early responses, we understand teachers may be looking for something different this year. Since our readers are teaching in both American and Canadian schools, we have options that will work for you regardless of your latitudinal position on the continent. One strategy is to look at the origins of democracy. 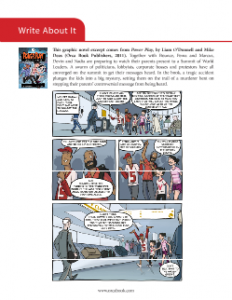 Our educational site has a free reading and writing exercise that presents the origins of democracy in Ancient Greece in graphic novel format. After reading, students are invited to take the viewpoint of the members of the population who were excluded from the early democratic process. This is an opportunity to talk about empathy for those excluded from the process today. It can also provide an example of positive change (spoiler alert: those groups are not excluded today). If you prefer a lesson you can tie to current affairs, you can talk about Americans considering a move to Canada if the election results don’t please them. This threat has been made in the event of either candidate winning. Use this to introduce the differences between the government and electoral systems in the two countries. Here is an overview to get the conversation started. The United States and Canada represent the two most common types of government. The United States is a republic and Canada is a constitutional monarchy. In a republic, the head of state and head of government are the same individual, the president. A constitutional monarchy has a hereditary head of state and an elected head of government. In the United States, the President, head of state and of government, is elected. Canada’s head of state is the Queen of England who is represented by the Governor General. The governor general appoints the prime minister, but this appointment is made based on the results of a federal election. Both countries have the same three branches of government: the legislative branch, the executive branch, and the judicial branch. There are differences between the makeup of these branches, but they are both comprised of a combination of elected and appointed members. The most important role of the legislative branch is to create laws. The legislative branch in the US is also called Congress, and it is made up of the Senate (two representatives for each state) and the House of Representatives (435 members based on each state’s population). Both senators and representatives are elected. The legislative branch of government in Canada is made up of the House of Commons and the Senate. The House of Commons consists of members who are elected, and the Senate is made of appointed members. Senate appointments have traditionally been made by the Governor General based on recommendations from the Prime Minister. The purpose of the executive branch is to enact laws. In the US, the Executive Branch is made up of the President, Vice President and the Cabinet. Cabinet members, called Secretaries, are nominated by the president and must be approved by the senate. The executive branch in Canada is made up of the monarch, represented by the Governor General, the Prime Minister and the Cabinet. Cabinet members, called Ministers, are elected to parliament and and then are appointed by the Prime Minister. In both governments, cabinet members take care of government portfolios such as energy or agriculture. In the US, nine Supreme Court judges are nominated by the president and must be approved by the senate. Canada also has nine Supreme Court judges that are appointed by the Governor General based on the recommendation of the Prime Minister. In the US, the Presidential term is four years. House representatives serve for two years, and Senators serve six-year terms. In Canada, the elected representatives and the Prime Minister and Cabinet all serve the same length of time, which is a maximum term of five years. Presidents can only be reelected once, but Canadian Prime Ministers can be reelected indefinitely. The aspect of government that the population gets to participate in the most is the election process. This is where you’ll see the most difference between the neighboring countries. Timing: US Presidential elections are the first Tuesday in November every four years. Congress member elections happen every two years. In Canada, an election must be called every five years, but there is no set date, and an election can be called any time. Length: US elections can go on for as long as two years. Canadian elections last an average of 50 days. Who voters choose: In the US, individuals vote on the president*, house representative and senators. In Canada, individuals elect their local representative, and then the party with the most local representatives gets to form government, and their leader will be Prime Minister. How Voters Vote: American voters use electronic voting machines, whereas Canadian voters mark an X on a paper ballot. *When Americans vote for a presidential candidate, they are actually voting on an elector who will vote for president on your behalf. This process is called the electoral college. The Canadian system for selecting prime ministers is also an electoral college process. 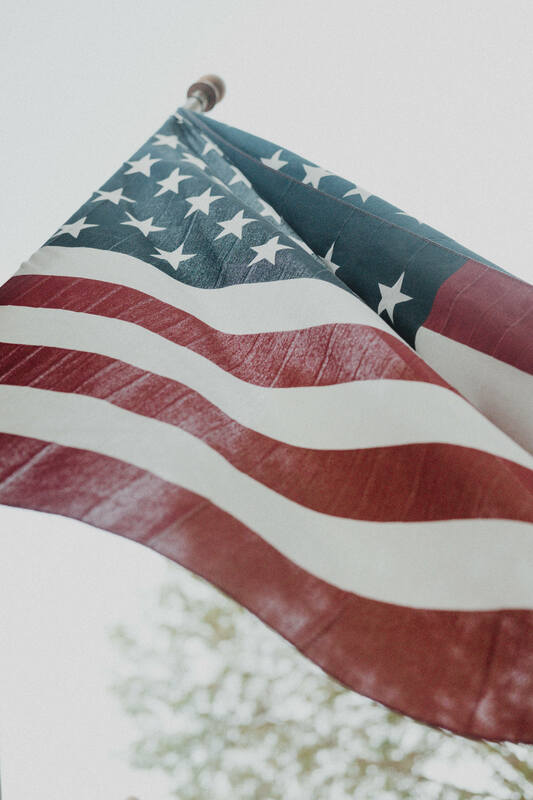 While there are more similarities between these two government systems, the differences provide opportunities for thoughtful classroom conversation. And healthy dialogue about differences leads to healthy dialogue on other topics. Want more resources on democracy? 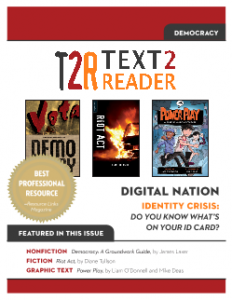 Check out the Text2Reader Democracy Issue.